LK Web Media will assist your company in creating and maintain a positive reputation online. Traditional businesses have always focused on building a brand by getting their name out there in news, advertising, and through the old approach of meeting clients face to face. As business moves online it can become increasingly difficult to establish a brand name in a sea of web domains and search results. If your potential customers cannot tell the difference between what you have to offer they may be more prone to selecting another vendor with a more established brand name. Why hire a online reputation management agency? A reputation management agency has specific knowledge and expertise in the art of both creating and maintaining a brand online. Hiring a reputation management agency means proactive investment in your online reputation and customers engagement with your brand. Our team of reputation management professionals will work to create various social media accounts and channels through well-known social networks while distributing information across the spectrum of online platforms. This in turn provides a greater control of your online reputation, making your information available to anyone performing research. 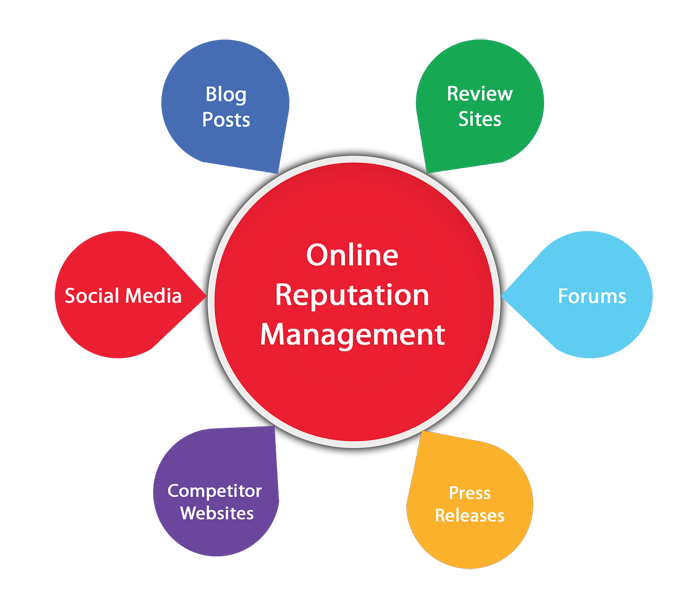 Reputation management professionals also monitor online communications for specific keywords and terms in order to remain abreast of any developments of your brand name within news and releases to ensure that news covers the positive aspects of the products and services you provide. In addition time is spent identifying potential risks before they become a major issue. The key benefit of hiring a reputation management company is the ability to prevent a negative reputation before it occurs. Reputation management professionals are well versed in the ways discourse and negative communications occur. Steps are taken to ensure that channels are being properly monitored and options are weighted in order to take the best action in the case of a potential risk while also giving your company a heads up. Online profiles are maintained by our reputation management team to ensure that untrue or unfair information is removed or properly handled. Our professionals can also assist with managing your search results to prevent search poisoning from becoming a problem for your business. In some cases the Internet can be a dual-edged sword. While many businesses will often find great benefit to using the Internet both as a communications platform and as a marketing platform, there are times where a negative image can develop. Our reputation management team is skilled in handling a reputation crisis by utilizing the latest tools and strategies for identifying the sources of negative information and producing effective strategies to minimize the spread of incorrect or harmful information. In turn, our reputation management team will work with your team to ensure the correct message is being produced and distributed where required.